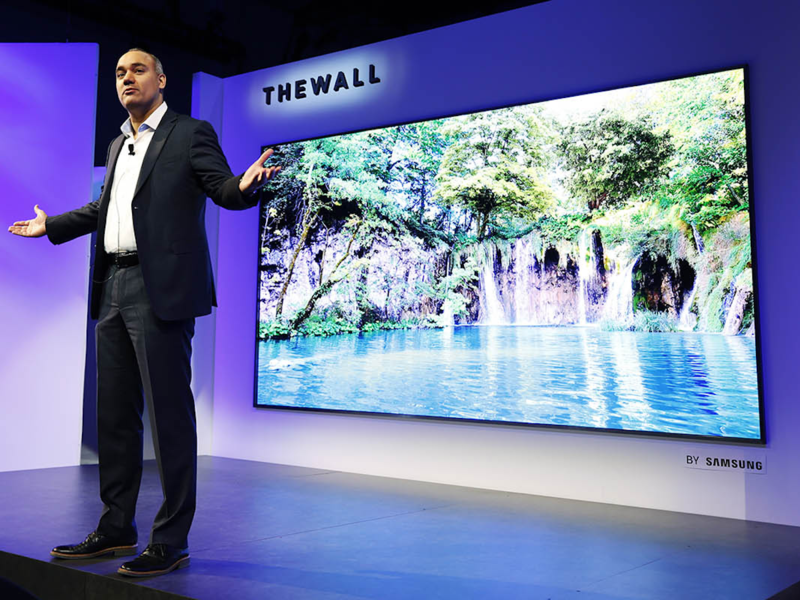 NEWS ITEM: Samsung has unveiled a 219-inch television nicknamed The Wall. “Let’s talk about the difference between ‘need’ and ‘want,’ ” she replied. “It will change your life,” I argued. “I like my life,” she countered. Yes, I usually am. Take my decision to be a leader when it came to new year’s resolutions: I quit first. Didn’t even make it to Jan. 2. We all knew it was going to end in disaster, so why prolong the agony? I have had Christmas leftovers last longer than my resolutions. So have you. Some studies say most people have given in by now, the second week of January. Others hang in. “I’m still sticking with my resolutions,” she said yesterday, so I explained that this was because she was slow and inefficient. “I forgive you,” I added, but my magnanimity failed to cheer her up. We can only blame her unhappiness on the resolutions themselves. Not thin enough, not wealthy enough, not healthy enough, not attractive enough, not accomplished enough, not enough of the latest good stuff. There have been earthquake zones with fewer faults than you, $50 diamonds with fewer flaws. And the only thing worse than confronting your shortcomings on Jan. 1 is surrendering to them by Jan. 13. The typical cricket game lasts longer than that. • Spend less time with loved ones. • Run a 10K. Or a meth lab. • Hike Mount Doug, but only downhill. • Dance like nobody is watching, but only if nobody is watching. • Stop allowing myself to be distracted so easi… Hey, is that a new coat? • Stop drinking out of the milk carton. • Let’s be realistic: Stop drinking out of the milk carton when she’s watching. 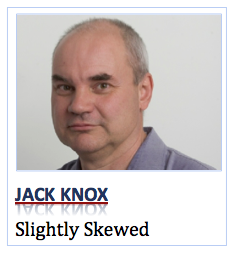 Or maybe contentment is really just a matter of adjusting expectations. Look at your life compared to that of your parents. Travel? It used to be that the only Canadians partaking in international flight were tailgunners in the RCAF. Now you run into your neighbours in Hawaii, are more familiar with Puerto Vallarta than Port Alberni. There are just 2.4 people in the average Canadian household, an all-time low, yet the (too expensive to buy) houses themselves are among the most spacious in the world; one study says only those in the U.S. and Australia are bigger. Even with fewer people per household, we have to play musical chairs for street parking because the driveway that used to hold “the family car” is now jammed like Costco on a Sunday afternoon. Of the 33.8 million vehicles registered in Canada, 22.4 million are of the light-road type: cars, vans, SUVs and the like. That’s in a country of just 37 million people. And damn it, you’re pretty sure that 36 million of them are running out right now to buy a 219-inch Samsung Wall. Meanwhile, you’re stuck watching Netflix on a tiny screen the size of a pool table, just like the pioneers. “I was really hoping for better,” I told her.